Aashna is sixteen, and in eleventh standard. Her hobbies include swimming, reading books and listening to music. Writing is her passion and it comes to her very easily. She is inspired by Jeffrey Archer, James Patterson, John Grisham and Dan Brown. She likes writing on intense and unconventional topics, as is quite apparent in her story. She aspires to be an investment banker. She says if she were to describe herself in one word, it would be sincere. 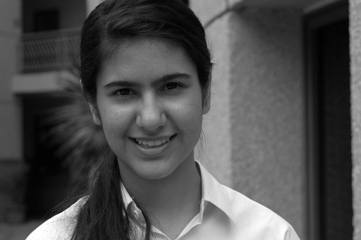 Aashna loves travelling to different countries and exploring their diverse yet fascinating cultures.